The stakes are higher than usual for an election year budget, as the Liberals' electoral fortunes take a turn for the worse. Today's budget will be the last one presented by Prime Minister Justin Trudeau's government before this fall's federal vote. An election year budget is a high-stakes exercise in any context — but this one comes as the Liberals find themselves in their worst position in the polls since coming to power. The Liberals are trailing Andrew Scheer's Conservatives and Trudeau's party has taken big hits in the demographic groups that helped deliver a majority Liberal government in 2015. So if today's budget includes measures targeted at those very groups, don't call it a coincidence. The CBC's Canada Poll Tracker puts the Liberals about three points behind the Conservatives, at 32.7 per cent to 35.3 per cent. That's far below where the Liberals were on previous budget days. When their first budget was delivered in March 2016, the Liberals were in the midst of their post-election honeymoon — nearly 16 points ahead of the Conservatives. By March 2017 and the unveiling of Finance Minister Bill Morneau's second budget, the Liberals were still ahead by about 11 points. Last year, polling conducted before the budget was tabled — and before Liberal support took a dive in the wake of Trudeau's botched trip to India — showed the Liberals in the lead by about 5.5 points. This undoubtedly is a worrying trend line for Trudeau, who is scheduled to face the electorate in just seven months. But the profile of the voters who are drifting away from the Liberals should worry the prime minister even more. Comparing the demographic breakdowns in three polls conducted in the last few weeks by Ipsos, Nanos Research and Abacus Data to surveys conducted by these polling firms in the months prior to the 2018 budget shows that the Liberals are shedding support in all age groups and with both genders. But they have taken a particularly big hit among millennials — down about 10 points. 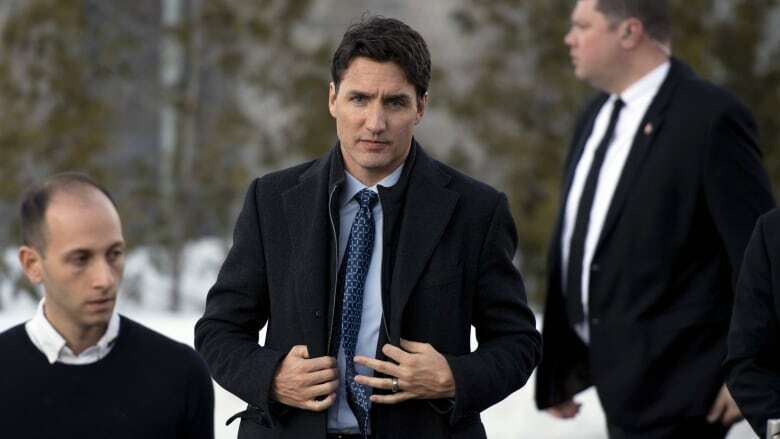 The Liberals still hold a narrow lead in this age group, with an average of 31 per cent support to 28 per cent for the Conservatives and 27 per cent for the NDP — but before the 2018 budget the Liberals were ahead by 17 points among millennials. This was a key voting bloc for the Liberals in the 2015 election. A post-election survey done by Abacus found that, among voters between the ages of 18 and 25, the Liberals took 45 per cent of the vote — 20 percentage points more than the second-place New Democrats. 9 p.m. ET -The National wraps up the day's coverage with a special At Issue panel on CBC News Network, streaming on cbcnews.ca, and on CBC Television at 10 p.m. Normally, younger Canadians don't vote in big numbers. But that wasn't the case in 2015, when new turnout records were set for this historically apathetic cohort. The Liberals also have lost their lead among women, men and middle-aged Canadians, while they now trail the Conservatives by double-digits among seniors. Instead of the narrow one-point advantage they held just prior to the 2018 budget, the Conservatives are now ahead by an average margin of 43 per cent to 33 per cent for the Liberals across the Ipsos, Nanos and Abacus polls. The Conservatives have not seen their support take off among women, however. The Tories are up only three points with women voters over the last year, compared to a gain of eight points among men. There isn't any significant difference between age groups in the changes in Conservative support. But the NDP has seen disproportionate gains among millennials. The party is up by an average of five points among younger Canadians in these three polls, while the party as a whole has dropped by one point. This decrease has been driven primarily by a fall in support for the NDP among men and older Canadians. The loss of younger voters to the NDP and middle-aged voters to the Conservatives is a combination that could prove electorally problematic for the Liberals — costing them urban seats around universities on the one hand, and suburban seats full of commuters on the other. The budget provides an opportunity to address some of these vulnerabilities. CBC News has reported that the budget is expected to contain funding for lifelong learning and adult skills training programs and measures to assist first-time home buyers. But the bleeding is coming from all quarters. It puts the Liberals in an unenviable position for a first-term government. The last few first-termers were in a better position than Trudeau is today. At the time of Harper's last budget in his first term in 2008, the Conservatives were ahead in the polls by about a point in a minority legislature. They succeeded in increasing the size of their minority government in the subsequent election. In 1997, when Paul Martin tabled the last budget of Jean Chrétien's first term, the Liberals were ahead of the Progressive Conservatives by a whopping 31 points (the Reform Party and Bloc Québécois, who had more seats in the House than the PCs at the time, were even further back). Brian Mulroney's PCs, however, were trailing by about six points at the end of 1987 — just a few months before his government tabled its last budget before the 1988 election. That election turned on the free trade debate and Mulroney was able to secure another (reduced) majority government. This fall's federal election is unlikely to be dominated by a national issue of such importance, so Trudeau will have to bank on something else to turn things around. Today's budget is a chance for the Liberals to try to do just that. Such opportunities are going to be limited in number between now and October. So could the Liberals' remaining days in office if they aren't successful in changing the channel.